I also agree with others that the light weight, minimalist aspect to the watch is just so NICE. That's one of the things that I really love about my old 1675. Even though the lightweight folded Oyster bracelet feels "flimsy" and light...it is probably the reason it is my single most comfortable watch to wear. :cheers: Great martini shot, Bo! I shall toast you and your new Sub this weekend. I actually prefer the thinner font. It's much more crisp and accurate. The second one looks like the paint was applied using too much pressure. I'm sure that's not the case, but that's what it looks like. 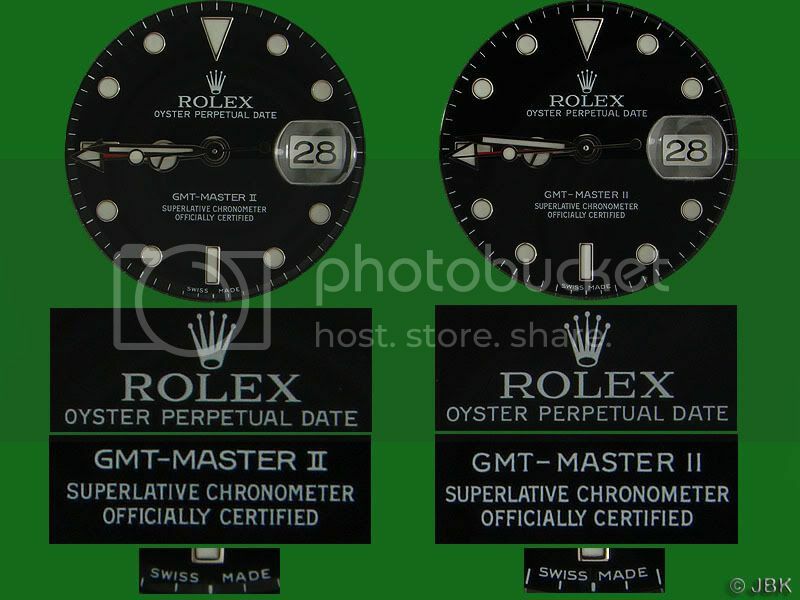 Actually, it could very well be that the paint was applied with too much pressure (Rolex uses a "ball" with the text printing on it to "stamp" the dial in one go). 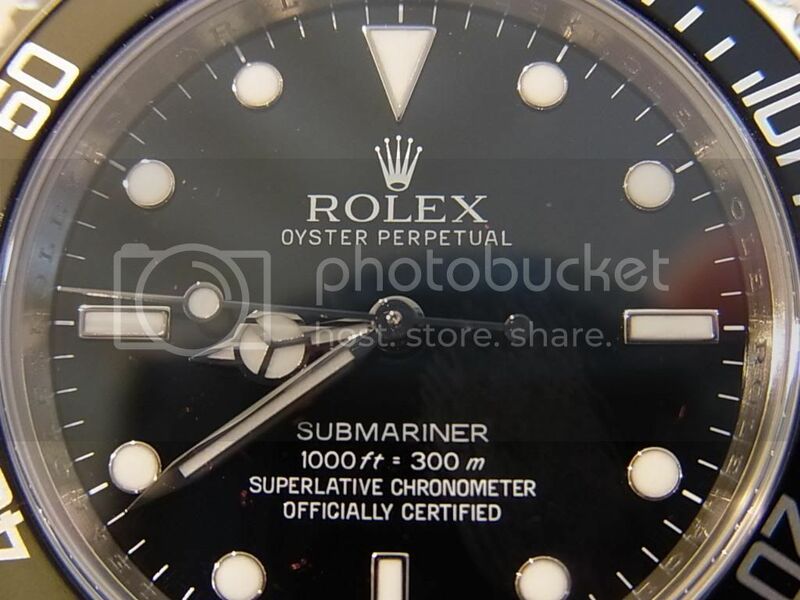 Anyway, the AD also had a random series 14060M in stock that sported the same "Thick" Rolex lettering. 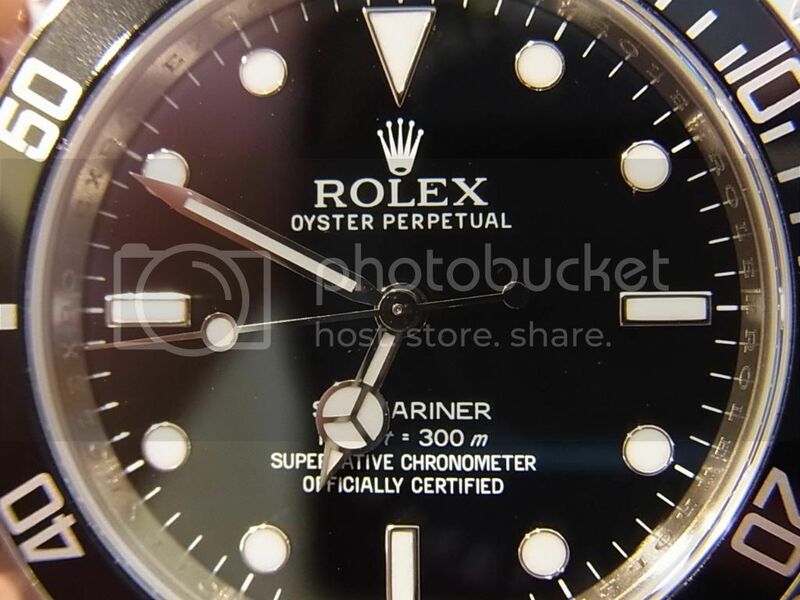 Same "fat" Rolex coronet, too. 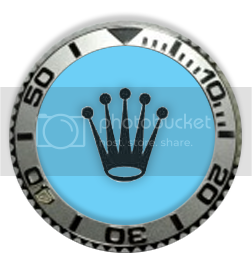 That style of Rolex coronet resembles the ones seen on some much older Rolex watches (5513 and 1680), so that is why I like it. BEAUTIFUL WATCH AND THANKS FOR THE EXPLANATIONS. 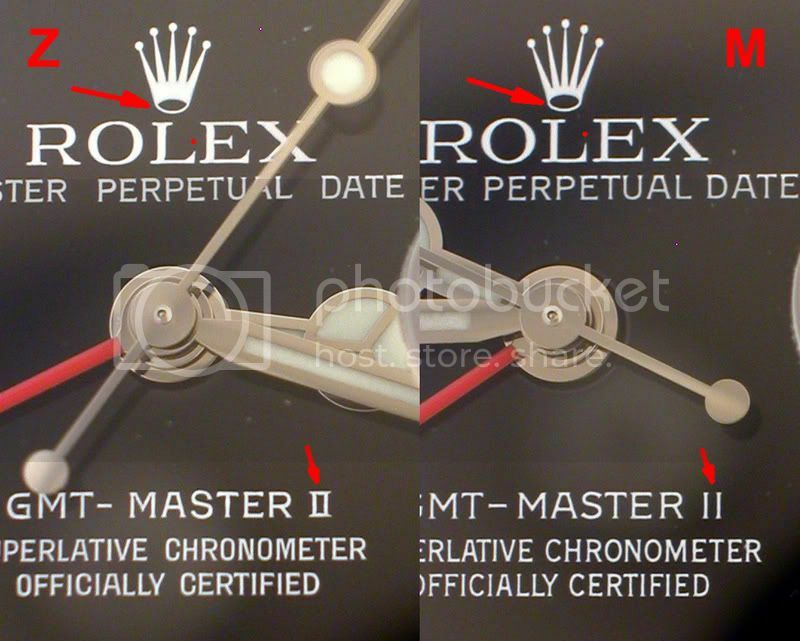 I just dug up some pics in my Photobucket showing how the Rolex coronets and lettering can change between series. After seeing this film but still love my watch. Thanks for sending it so instructive.